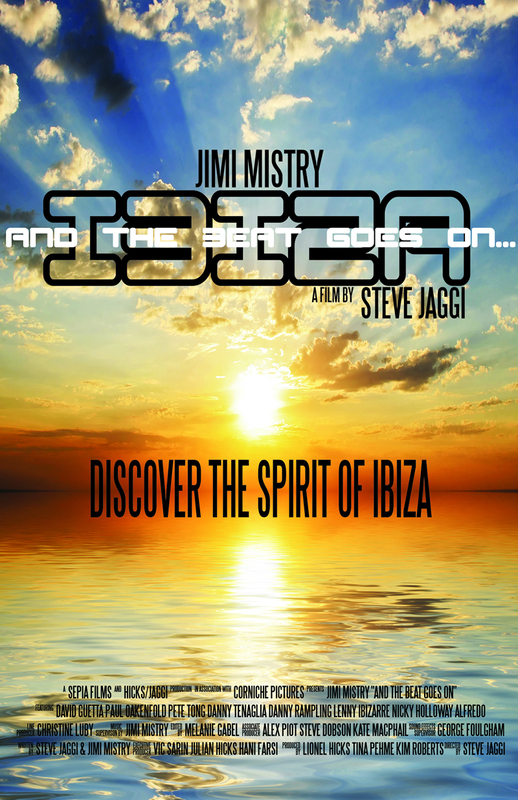 Jimi Mistry, a British actor and DJ who grew up during the height of the rave scene in the United Kingdom decides to journey to the Balearic island of Ibiza and unravel the complex musical history of the island, and find out for himself if Ibiza's now spoiled reputation is deserved. Starting his journey in clubs such as Pacha and Amnesia, a chance meeting with Island resident and multi platinum producer Lenny Ibizarre ends with Jimi seeking out the island's spiritual flip side. Along the way, Jimi meets DJ Alfredo before re-uniting the four DJ's credited with exporting the Balearic sound to England - Paul Oakenfold, Nicky Holloway, Danny Rampling and Johnny Walker. Jimi's journey ends with a mountain top full moon ceremony in the center of the Island. The film features interviews with nearly two dozen world famous DJ's and musicians including David Guetta, Danny Tenaglia, Pete Tong and features appearances by dozens of musicians and artists. David Guetta, Alex Metric, Orbital, Tomas Hedberg & Jo Mills, Xpansions, Lenny Ibizarre, Angelique Bianca, A Man Called Adam, Atjazz, DiY, Lord Gravel, Martijn Ten Velden, DJ HAL, Jason Herd, Aly-us, MUAK, Defected and Strictly Rhythm to name but a few. Starring: Jimi Mistry, David Guetta, Pete Tong, Paul Oakenfold, Johnny Walker, Nicky Holloway, Danny Rampling... and more!